I recently met a couple of interns researching and writing on various topics at the Commission as a part of the internship programme. I was surprised to see that most often than not, they waste have to spend considerable amount of time in writing introductory paragraphs on the evolution on Indian Competition Law. The time allotted to them is 30 days for submitting a report on a chosen topic approved by the mentor, but the actual working time in the Commission comes out to be 20 days, excluding Saturdays and Sundays, out of which 4 days have been made compulsory for the Interns to visit and observe the working of various branches of the Commission, leaving them with about 16 working days at the Commission. This is a significant difference from the time I was an intern there, since the internship period was 3 months then. I was fortunate enough along with another intern Pradeep Tiwari to see the Commission coming into existence. We were delighted to be a part of the time that no other person apart from the few officials present would ever see. A lot of time has passed after that but the day is very clearly etched in our minds. As a Valentine’s Day present to the interns there now and more in the future, I am very glad to share the various reports and discussions that form a part of the formulation of Indian Competition Law, all under one roof. Please feel free to email me at pranavmehra@live.com if I have left anything or for any other update. Coming to the defence of the government facing stiff opposition over opening multi-brand retail to foreign investment, the Competition Commission of India today said that entry of big players in the retail market would encourage competition. 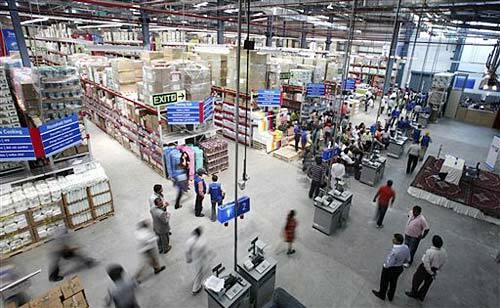 “This (FDI in multi-brand retail) will promote competition, as we see it prima facie. At least by the stated objective. Let’s see how it works. Once they come, their functioning will be clear and then we can see if at all there is a need to step in,” CCI chairman Ashok Chawla said. Notwithstanding the uproar by political parties, Chawla said that there would be no over-vigilance of multi-brand retail. The sector, he said, would be regulated ‘like any other sector with no special dynamics’. Government’s decision to allow 51 per cent FDI in multi-brand retail prompted UPA ally Trinamool Congress to withdraw support to the government. Other political parties including opposition BJP and Left parties too expressed their reservations on opening of multi-brand retail to FDI. The decision, however, was welcomed by the industry which described it as ‘a huge mood lifter’. Experts too have viewed the move as a pro-reform process and something that would benefit all stakeholders – farmers, small manufacturers as well as customers. Consumer organisation CUTS said that fears relating to possible anti-competitive practices of predatory pricing and abuse of dominance by big players was unfounded “because of low entry barriers for unorganised retail. “If at all such practices are adopted, the CCI can deal with them,” CUTS Secretary General Pradeep Mehta said. Global retail giants like Walmart and Carrefour could invest up to 51 per cent to open stores in 10 states and Uts in India, which have so far conveyed to the Centre their readiness to FDI in multi-brand retail. Within days of the announcement, US-based Walmart said it hoped to open its first store within 18 months. The Union Cabinet has approved the proposal of the Ministry of Corporate Affairs to further amend the Competition Act, 2002, with a view to fine tune it and to meet the present day needs in the field of competition, in the light of the experiences gained in the actual working of the Competition Commission of India in the last few years. Major amendments approved by the Cabinet relate to changing the definition of “turnover”, “Group”, reducing the overall time limit of finalization of combinations from 210 days to 180 days and insertion of a new Section 5A enabling the Central Government to lay down, in consultation with the Competition Commission of India, different thresholds for any class or classes of enterprises for the purpose of examining acquisitions, mergers and amalgamations by the Commission. The other amendments relate to procedural aspects in working of the Commission. The proposal after its initial consideration in April, 2012 was referred to a Group of Ministers to examine it in details, with particular reference to jurisdiction of sectoral regulators on Competition related issues. The Group of Ministers considered the issues referred to it by the Cabinet and while endorsing the original proposal also proposed amendment in the Competition Act requiring other regulators to mandatorily refer matters impinging on “Competition” to the Competition Commission of India, and vice-versa to concerned regulators by CCI, on matters relating to those regulators. To this extent the original proposal has been modified. The swadeshi versus videshi battle has broken out afresh in the Rs 67,000-cr Indian drug market as multinationals step up their efforts to enter the branded generic space to compete with domestic drug makers. Next time you visit a chemist, just observe what happens. You will hand over the doctor’s prescription, often unreadable, to the chemist who reaches out to the shelf, takes out a few strips of tablets and capsules, packs them in a brown envelope and hands it over to you. It’s almost mechanical. How is it different from, say, buying biscuit? You, at the chemist’s store, are not king, unlike in a grocery store or a car shop. You are not empowered to choose or evaluate. Those decisions have been made by your doctor. Unknown to you, drug makers have fought hard behind the scenes to make the doctor write that prescription. He has written a particular brand of a medicine probably because he has been educated well by that brand’s salesman, or perhaps he has been won over by the company with freebies and inducements. This is how the Rs 67,000-crore Indian drug market works. The fallout of this has been a fierce scuffle between the domestic pharmaceutical companies and Big Pharma, the large multinational corporations. The lobby of home-grown companies complains that the foreign companies have won over the doctors with their stronger financial muscle power. So, in the highly-fragmented market, they are steadily, but surely, losing share. It is the kind of debate that had surfaced after the Indian economy was liberalised in 1991. A clutch of home-grown businessmen had set up the Bombay Club in order to protect their interests against the inevitable onslaught of multinational corporations. Over the years, these businessmen did well; many of them went on to spread their footprints abroad and become the multinational corporations they so feared. The fight between swadeshi versus videshi didn’t last long. It died down in a few years. But it has come alive once again in the country’s pharmaceutical sector. Till the early 1970s, the Indian market was ruled by multinational corporations. Prices, as a result, were high. The government, in order to make medicine available to all, decreed that the country would not recognise product patents — it would accord only process patents. In other words, an Indian could make any drug in the world, provided he used a process that was not owned by anybody. This change in the patent regime was enough for Indians to step in. Local chemical technologists proved really good in devising new processes to make drugs. It also helped that the patent office seldom enforced the process patents with authority. There were no entry barriers; India became an equal-opportunity market for all. Every medical compound had hundreds of brands in the market. The multinational corporations slowly began to cool off from India. Because of the intense competition, prices were at rock bottom (amongst the lowest in the world) and the profit margins were wafer-thin. The interests of the two groups, domestic drug makers and foreigners, had become divergent. They had even formed different lobby groups: Organisation of Pharmaceutical Producers of India for the foreign-owned companies and Indian Drug Manufacturers’ Association for the Indian companies (a handful of them later formed the Indian Pharmaceutical Alliance). The tide began to turn again in 1994 when India, along with various other developing countries, signed the World Trade Organisation’s agreement on Trade Related Aspects of Intellectual Property Rights. It mandated all signing countries to start granting patents on medicines no later than 2005. However, unlike many other countries, India used the transitional period provided in the agreement to the full and changed the law only in 2005. That year, only three pharmaceutical patents were granted. But the numbers increased significantly after that leading to 113 in 2006, 772 in 2007, 1,369 in 2008 and 1,046 in 2009, according to the Indian patent office. According to Prathiba M Singh, patent and trade mark attorney and managing partner of Singh & Singh, a law firm, 80 per cent of the pharmaceutical patents granted in India are to foreign companies. However, this has not stopped domestic companies to develop generic medicines. At the same time, disputes over patent infringement have increased substantially in the last few years, three to five times, says Singh. Big Pharma have been quick to accuse Indian companies of having scant regard for patents. They had alleged that Indian companies unscrupulously reverse engineer their drugs, with some minor tweaks here and there, and then launch them in the market. Indian companies counter that multinational corporations have found ways to “evergreen” their patents — in order to extend the high-price life of a drug (prices tumble as soon as the patents expire), they ringfence it with frivolous and unreasonable patents. In fact, this fight has spilled over to the international markets. Indian pharmaceutical companies had spotted a huge opportunity in drugs that were going off patent in the US (the world’s largest market) — they could supply it at a fraction of the costs from India. After initial years of success, they ran up against a wall. They found that Big Pharma would often hand over the generic rights to a friendly company under the guise of “authorised generics” or would set up a generics arm to block out low-cost producers from India. Indian companies have also said that Big Pharma are doing all they can to flog existing patented products for more and more business because their pipeline of new products has run dry. Patented medicine can be expensive in a country like India. Law provides that the government, if it is convinced that it is in the interest of the people, can hand out a “compulsory licence” to make inexpensive patented medicine. This, of course, hasn’t gone down well with foreign pharmaceutical companies. A perfect example of such a clash was witnessed earlier this year when India granted compulsory licence to a domestic drug maker, Natco Pharma, to make and sell a low-cost version of cancer drug Nexavar at 3 per cent of the original medicine’s price. German drug maker Bayer is the innovator of Nexavar and holds a patent protection on the drug. However, the logic behind allowing Natco to sell the medicines is that Rs 2.8 lakh charged by the foreign company for a month’s dosage was too high for patients in India. While Bayer challenged the decision, the clash did not end there. Soon another major domestic pharma company Cipla, known for selling low-cost drugs and entering litigations with multinationals, further challenged Bayer’s patent, slashed the monthly price of sorafenib, the generic version of Nexavar, by 75 per cent to Rs 6,840. Natco has permission to sell its version of sorafenib for Rs 8,800 or less. Sources say various other domestic companies are now set to follow the suit and seek compulsory licence for their drugs. Experts say that multinationals have to spend more on brand building, mainly to shed their videshi tag. For the purpose, some global companies have even started innovative programmes with people participation to get involved in the hinterlands, which constitutes about 18 per cent of the domestic market. Some of these schemes are Ranbaxy’s Project Viraat, Novartis’ Arogya Parivar programme, Eli Lilly’s Sewa in Ahmedabad and Sanofi Aventis’ initiative Prayas. According to Aashish Mehra, partner and managing director, Strategic Decisions Group, multinationals such as Pfizer, Novartis and Sanofi Aventis, known to sell innovative products, are now increasingly trying to enter the branded generic space to compete with domestic drug makers in the Indian market. “MNCs have realised that their products are not affordable to most population in India, so they are now looking at the branded generic space,” says Mehra. Getting into branded generics makes sense for multinational companies, who would generally sell gold-plated expensive products, as this helps them maintain price-parity across countries through different brands for same molecule, says Mehra. On the other hand, domestic companies like Sun Pharma and Glenmark are increasingly making efforts to develop new molecules on their own. Domestic manufacturers often complain that while their products are under stringent price control, multinational corporations are allowed to have a free run — they are allowed to sell at a fixed margin above the landed cost. However, multinational corporations argue that their products are often innovative which has research and development cost attached. The latest flashpoint is insulin. Imported insulin happens to sell at much higher prices than domestic insulin. This has caused considerable heartburn amongst the domestic companies. With their lower prices, they ought to be happy because that way they can drive the importers out of business. But multinational corporations, in spite of their higher prices, command almost 75 per cent of the Rs 750-crore-per-annum market. The reason is that diabetics never experiment with insulin and stick to the brand recommended by their doctor. A patient is unlikely to switch to another brand of insulin just because it is cheaper. So, what Indian insulin makers want is level playing field with the multinationals. The lack of it, they argue, has kept more domestic players from getting into the insulin market. The National Pharmaceutical Pricing Authority, or NPPA, has said that importers often inflate their cost of production in order to get a higher price. Thus, Eli Lilly had taken NPPA to court when it refused to accept the cost of production the company had submitted. In June 2011, the Delhi High Court asked NPPA to accept the cost and raise the price accordingly. NPPA accepted the costs but cut the profit margin from 35 per cent to 17 per cent; the result was that the MRP of Eli Lilly’s insulin remained unchanged at the 2009 level. More recently, there have been concerns about multinational corporations acquiring domestic companies which can lead to monopoly in pricing and also product launches. Big Pharma have frequently been charged of slow product launches and a narrower therapy range than the domestic companies. They are also often accused of not introducing products for diseases prevalent in India but sell those that allow higher margins. As a result, they lobbied with the government hard to put checks and balances on the acquisition of Indian companies by multinational corporations. As a result, the new rule states that all such proposals need to be vetted by not just the Foreign Investment Promotion Board but also the Competition Commission of India. But is that what Indian businessmen want? It’s not clear. Many know that their USP is to produce inexpensive generic medicine, and multinational corporations, struggling with higher production costs and dwindling profitability, know that’s what can fix their problem. This can fetch Indians good valuations — they know that.